Home » Home & Family » DIY Birthday Party Ideas that Rule! 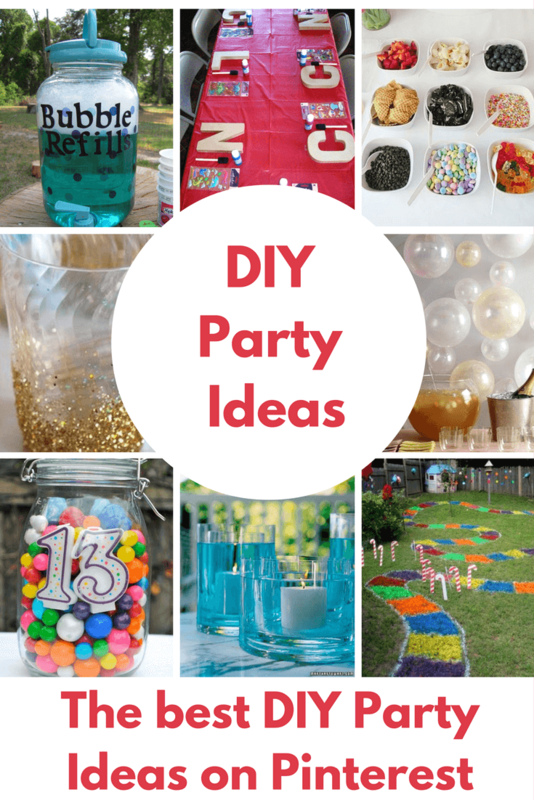 Planning your own party and need some easy DIY ideas? 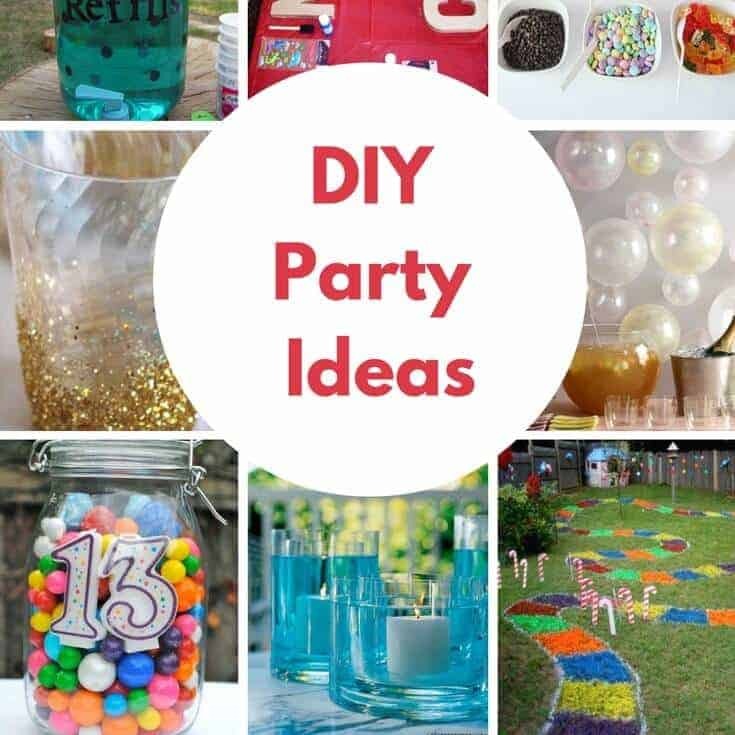 Outdoors or indoors, kids or adults…These DIY Birthday Party Ideas will get you ready! Does anyone else feel overwhelmed when it comes to throwing the perfect birthday party? Before the birth of Pinterest, parties were so much more simple, but now they really can be out of this world fun! 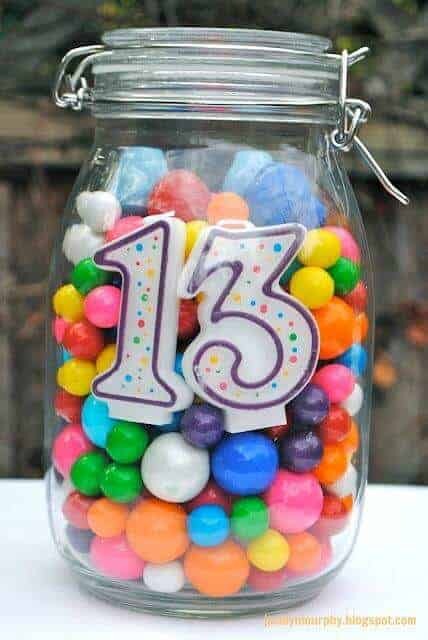 Instead of spending so much money at a party place, these DIY birthday party ideas will not only help you throw a great party at home, they are also going to save you a little money along the way. Don’t worry, these ideas are all relatively easy to put together and you only need beginner level skills to pull off these ideas. Some may look really detailed, but they are so cute and actually pretty simple to do. Those are my favorite kind of projects, the ones that look hard, but are fabulously easy! Evelyn Kirchner created her very own candyland board in her backyard. The best part, she is not a fancy blogger or party planner, just a mom who uploaded a picture of her child’s birthday party. See… you can do this! This bubble station is so cool! I think the most frustrating part of playing with bubbles is the constant need for refills, No worries here. 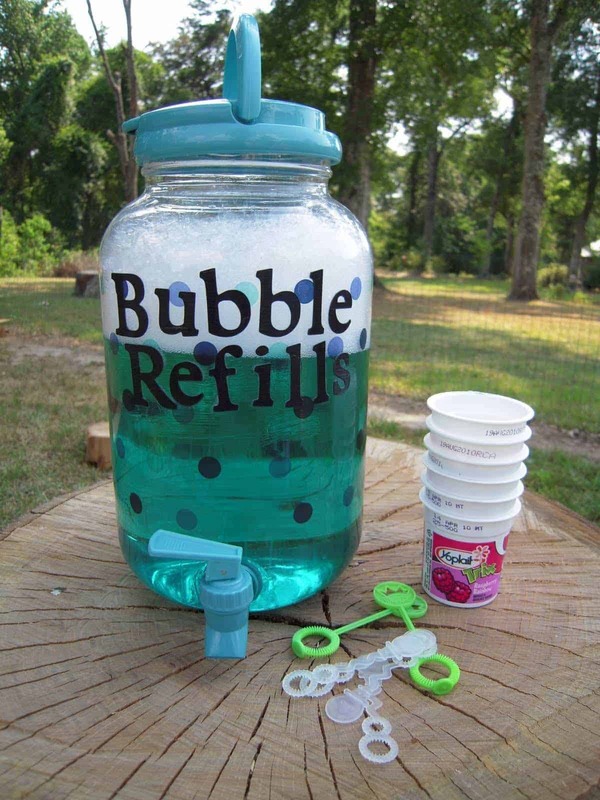 La La’s Home Daycare created a DIY bubble station where she uses a drink dispenser and cleaned out yogurt cups. This is great for parties or really any day of the week when you have small children. Guff.com shows us how to take ordinary plastic cups and make them extra sparkly when you add glitter. Such an easy idea, but it makes them so fancy. Perfect for New Years Eve, too! 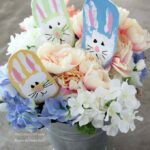 Oh my gosh, this might be the cutest party centerpiece that I’ve ever seen… and how easy is this? If you haven’t visited Jacolyn Murphy’s site, she has amazing ideas like this times for nearly any occasion you can think of! It is definitely worth a look. 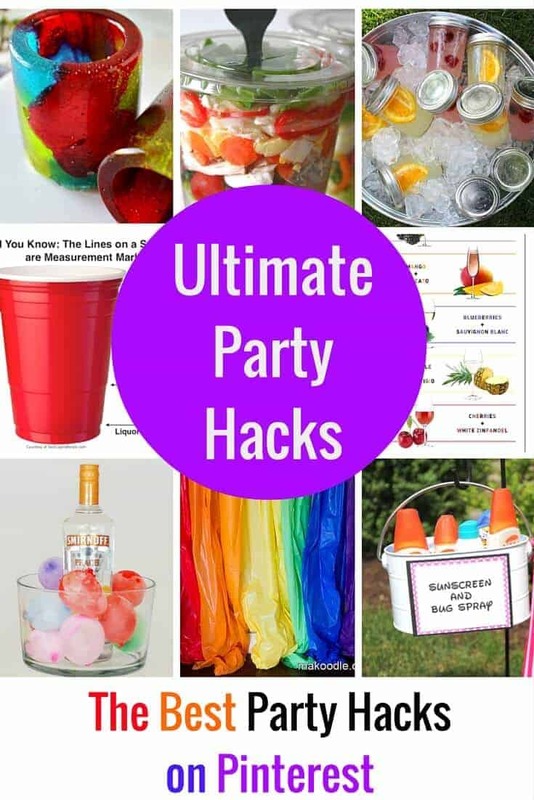 If you are looking to cut some corners or amp up the fun, be sure to visit my post on the Best Party Hacks on Pinterest. So many great ideas in one place. You can get an idea from the picture above that they are pretty awesome. 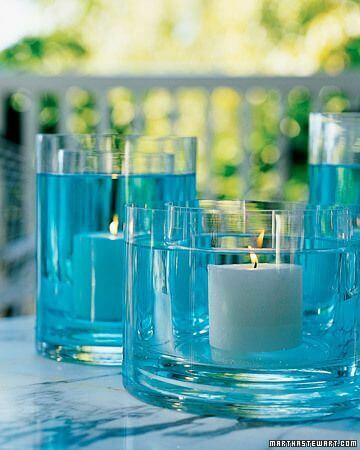 I loved all of these ideas for cool candle centerpieces on Martha Stewart. This looks so sophisticated, but would work well for any gathering and you can customize the color, too! There are loads of ideas on this page, so be prepared to scroll for some incredible inspiration! This champagne bar from Honey and Fitz is such a stunning display. It looks so elegant, but really it is just a bunch of balloons blown up to different sizes and taped to a wall. We can do this people… and for any party! You could do red and black for a ladybug party or pink and black for minnie mouse. Various shades of green for Ninja Turtles… you get the idea! 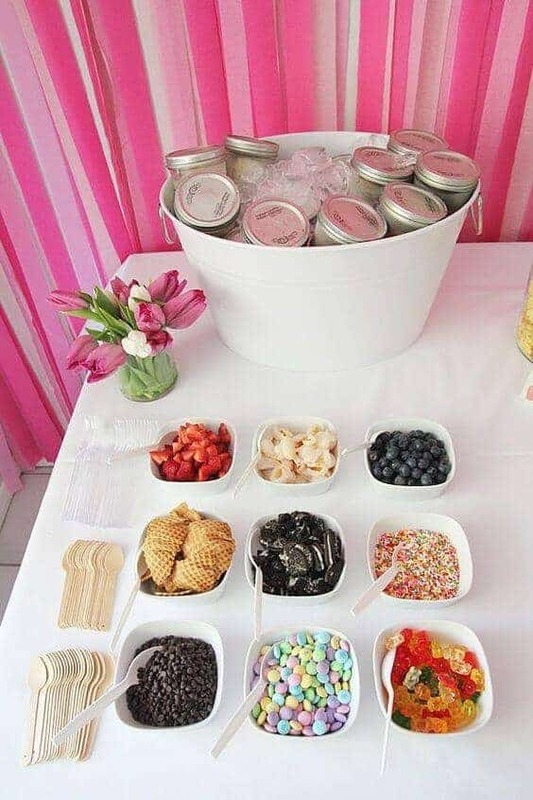 When I think of a Sundae Bar I think of sprinkles and some chocolate syrup, but this is so adorable. Pop Sugar has shared this Mason Jar Sundae Bar and I think it is the smartest idea! The ice cream is already in the jar, so no scooping. If someone doesn’t finish, put the lid back on a throw it in the freezer… genius and not to mention so stylish. I so want to be this kid. 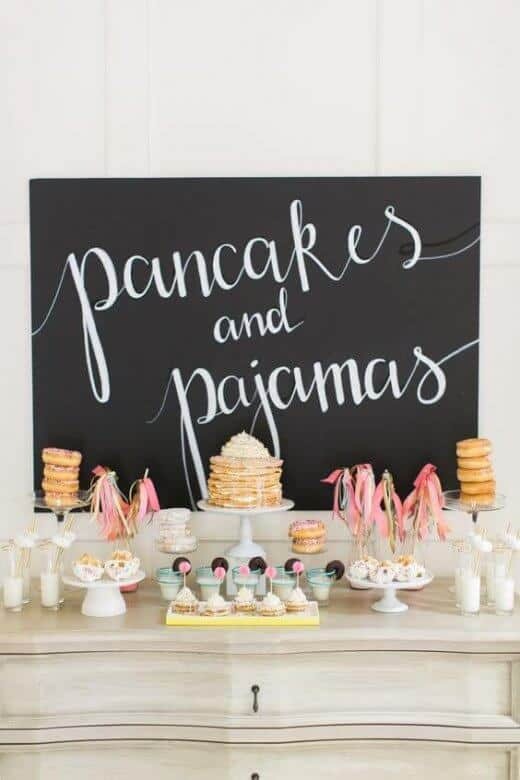 If you’ve ever visited the blog Jen loves Kev, you will see that she creates the most quaint, but stunningly beautiful parties for her children. 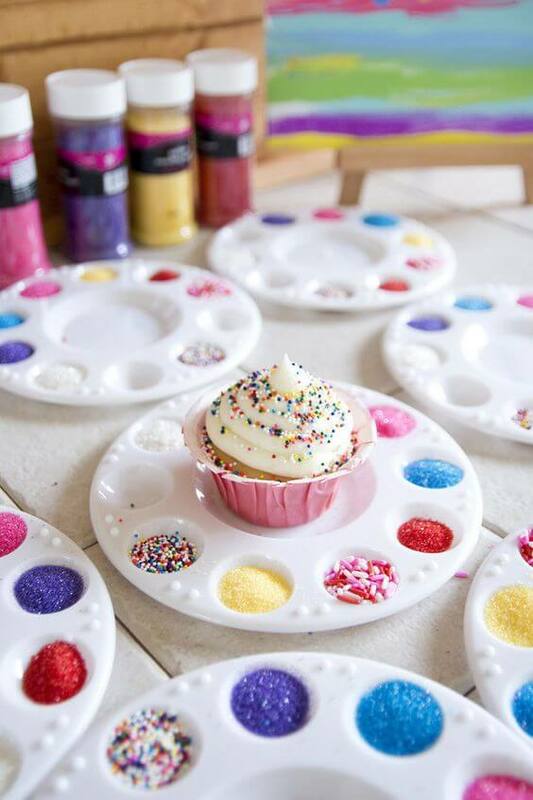 These little palettes are perfect to decorate a plain cupcake at this little artist birthday party. Every detail is so simple, but just perfect. 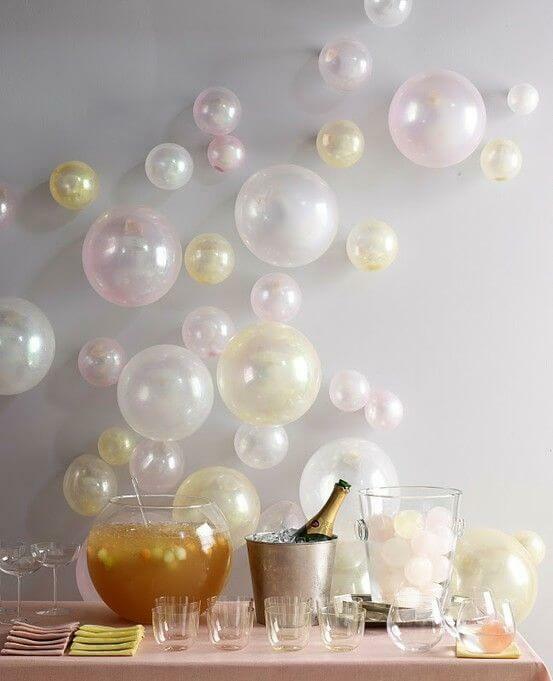 If you have a little girl, this would be such good party inspiration! 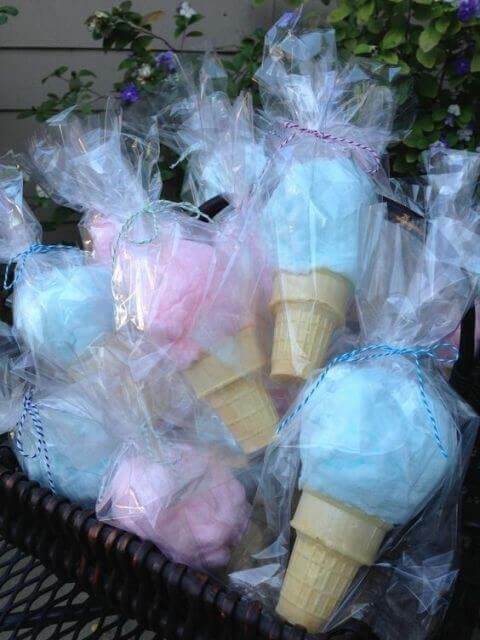 If you are throwing an ice cream, Summer or just a sweets party, these cotton candy ice cream cones would be perfect. Crafty Morning always has her pulse on what kids really love and it is absolutely a fact that every kids loves cotton candy. What a cute favor idea! Okay… stop the presses. This is the cutest party bar I’ve seen in ages. Featured on Style Me Pretty, this is the most stylish sleepover I’ve ever laid eyes on! From the tiny pom poms on the milk glasses to the stacked sprinkled donuts, I’m in love with this and I am certainly not a kid anymore! Maybe I need to plan this one for my girlfriends. That poster in the background rocks, too! I absolutely love this idea for an art party by Poca Cosa. How much would your kids love to take home their own decorated monogram letter. 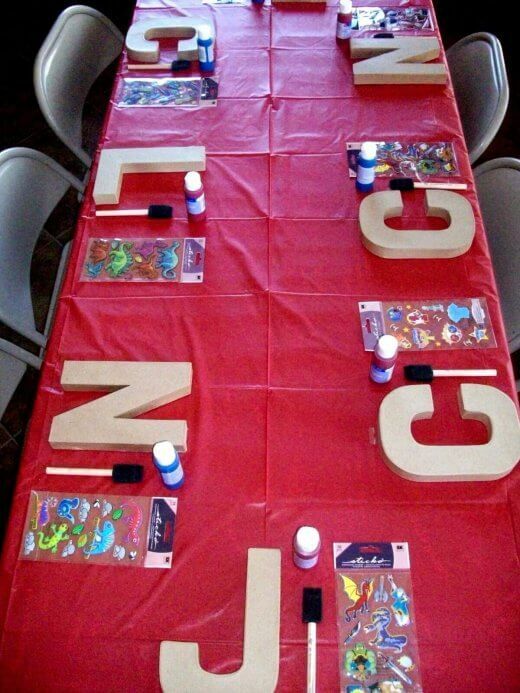 Kids also adore painting, so this is a really cool project idea for parties. Who else is ready to party out there? 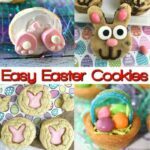 I love all of these ideas and I can see why they are so popular… they are adorable and kids of all ages will love them! I think you can tackle these parties… the decorating at least. Taking care of the party guests is in your hands, but I think they’ll be mesmerized with these sweet DIY birthday party ideas! I really liked all these ideas, Unique and artistically made. I’ll definitely try the third and fifth DIY tips. These great ideas area really wonderful to make any party memorable. I love the little paint/cupcake trays! That’s such a cool idea. I will have to remember that one for sure. Thank you for sharing these ideas. I think the Candyland backyard game is a great idea and I’d like to try it. But what kind of paint did the use to create it, and how long does it last in the grass? I would love to make something like this for my daughter and her friends for a special play date, but I don’t want it in my yard forever! Exactly. I was wondering this same stuff. 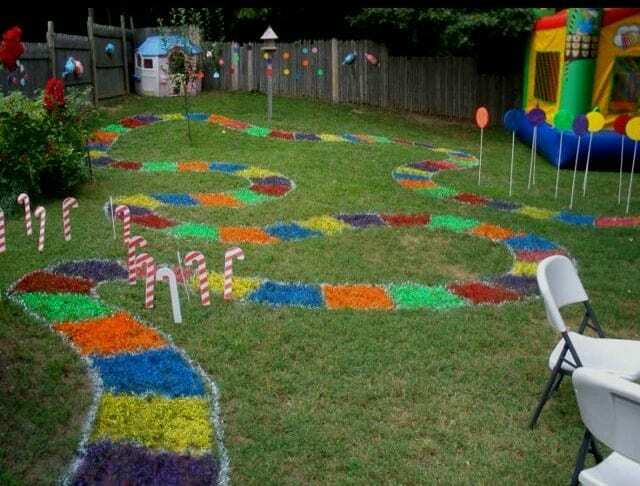 I love the candy land back yard, what kind of paint did they use to create it, and how long does it last in the grass? 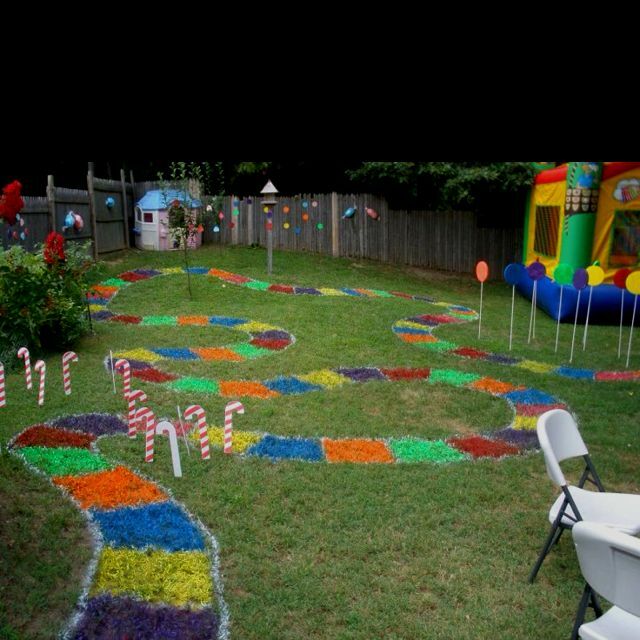 I want to do the candyland game in our yard. What kind of paint did you use and how long did it last? Really great ideas and fun themes for the party.My kid loves painting .Would really like art and painting theme.Kids will love to decorated their monogram letters and it will be really a great gift for them. I love DIY decorations because it is easy to make. These ideas are really nice to make over the party. Really Amazing idea. these are really useful. All of these ideas are just amazing! I found the cupcake palette so adorable,gonna definitely do it for my little niece sometime.Thanks for sharing!